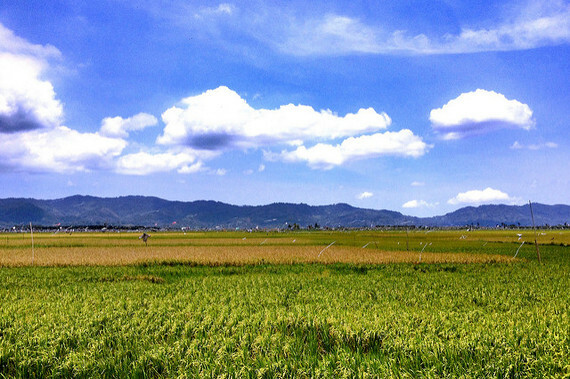 Indonesia is home to 17,000 islands, and Bali is just one of them. While the "Island of the Gods" is revered for its coral reefs, volcanic mountains and technicolor rice terraces, many travelers' tunnel vision causes them to miss out on the country's countless other island paradises. Indonesia is home to 17,000 islands, and Bali is just one of them. While the "Island of the Gods" is revered for its coral reefs, volcanic mountains and technicolor rice terraces, many travelers' tunnel vision causes them to miss out on the country's countless other island paradises. These six Indonesian destinations offer the authentic culture and exotic beauty you're seeking without the hoards of year-round tourists you'll find on the country's most popular tourist island. You don't have to be the age of most Jurassic Park enthusiasts to get excited about seeing modern day dinosaurs in real life. Between the more prominent islands of Sumbawa and East Nusa Tenggara lies Komodo, a small island that has made a big name for itself as the home of the world's largest living lizards (typically ranging from 68 to 90 kilograms), the Komodo dragons. The island is part of the scenic Komodo National Park, providing a picture-perfect backdrop for unforgettable and once-in-a-lifetime Komodo dragon experiences. 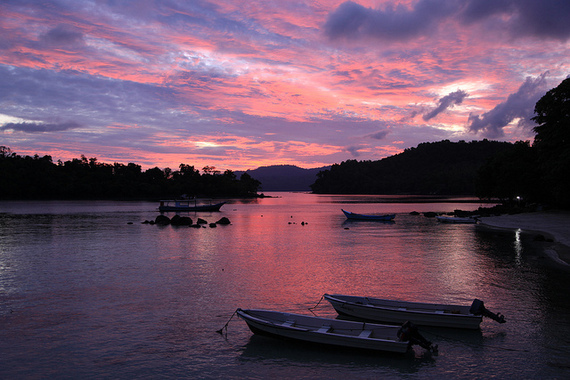 Just off the coast of Central Java, are the 27 idyllic islands that make up Karimunjawa, a designated marine park. 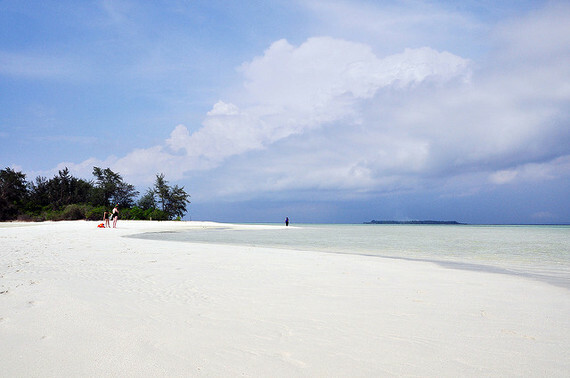 One of the two main islands, Karimunjawa Island is known for its clean, sugar-sand beaches, clear ocean waters and dozens of tree-covered peaks. A regular ferry travels from Jepara, Central Java, to Karimunjawa Island, making it easy for travelers to call this island's fairytale-like beauty home for a while. Lombok's palm-tree studded shores and Hawaii-status beauty can be found in just a short one-hour flight from Ngurah Rai International Airport in Bali. While it's an easy island to reach, spending the extra time and money to get there means fewer camera-toting tourists at your hotel and less local sales people shouting "transport" and "massage" everywhere you go. A more authentic Indonesian vibe, untouched natural beauty in many areas and easy access to the turtle sanctuaries and vehicle-free roads of the nearby Gili Islands make Lombok a must-visit. Travelers seeking a sleepy island oasis will fall in love with the laid-back vibes of Pulau Weh, or Weh Island. Visitors can spend days watching the island's animals roam about from the shade of a coconut palm or experience some of the country's best snorkeling and diving. Tourism only reached this minute island just off the coast of Sumatra roughly a decade ago, which means those who venture here experience a glimpse into Indonesian life before the beachcombing crowds. Similar to Pulau Weh, Rote takes travelers back to a time when pigs and goats roamed freely on Indonesian islands and beaches were void of colorful umbrellas and lounge chairs. Sitting just 500 kilometres northwest of Australia, it's a wonder the white sand beaches and turquoise waters aren't packed with tourists from the Land Down Under. However, visit Rote and all you'll find is wave-hungry surfers in search of the famously long left-hand waves at T-land, and cheerful locals hoping you'll stay in one of their cabanas or guest houses. More and more foreign-owned hotels and mini-resorts are rising in Rote every year, so there is no better time to go than now. Being the 11th-largest island in the world and one of just four Greater Sunda Islands, Sulawesi doesn't lack charm because of its size. The island is home to three large peninsulas with coral-reef-filled gulfs between each one. Sulawesi's octopus-like shape means those who visit get to experience multiple ecosystems and tribal cultures on a single journey. World-class diving, postcard-worthy beaches and cultural experiences worthy of a spread in National Geographic make the journey to Makassar and throughout the 67,413-square-metre island worth every bemo ride.